How Much Does it Cost to Furnish a Living Room? The living room is a central room in the home, and for many, a primary gathering spot. For some, it’s a cozy space to watch movies, and for others, a more formal area to host get-togethers and sit with their coffee in the morning. Either way, we know that cost is an important factor in the process of buying furniture. That’s why we’re giving you a comprehensive guide to the cost of furnishing a living room. In general, the cost of furnishing a living room starts at around $10,000 and can go up to $25,000 or more. However, you should be aware that the cost of decorating a living room will vary greatly. You can easily spend much more than this with premium, luxury upholstery and the additions of high-quality rugs and artwork. You can also spend less if you opt to purchase quality upholstery and save on accessories and other items. A living room usually consists of a rug, a sofa or sectional, a few upholstered chairs, and a coffee table. Once you’ve set the groundwork, lighting and accessories, such as pillows, throws, and artwork bring the design of the room together. The cost of the pieces we carry is reflective of a few factors, such as material, craftsmanship, the process by which it’s made, and where it ships from. You may find less expensive options when you look for imports or low-cost materials. However, the price is not always completely dependent on quality, sometimes you’re paying for a more intricate style or design, or perhaps even a brand name. Rugs in a living room are generally between 8 x 10 and 10 x 15, depending on the size of your room. The larger the rug, the greater the price. Our 8 x 10 rugs range from around $700 to $2,500. Our sofas range from around $1,400 to $6,000. A sectional is a great option for a larger space or if you like to cuddle up on the couch. Our sectionals start at the $3,000 mark and go up to $10,000 on the premium end. Our occasional tables, like a coffee table or end table, start at $400 and go up to $1,500. Our upholstered chairs cost between $900 to around $2,000. Our lamps, depending on the size and how stylized they are, vary from approximately $200 to $900. If you choose a custom fabric on our upholstery it will raise the price, whereas certain fabrics can bring the cost down. To learn about how fabric affects the cost of your upholstery, read more here. Read More: How Much Does a Coffee Table Cost? Before considering how to invest your money, you should take some time to think about the room itself. How to big is the room? Will you need a sofa or a sectional? Who uses it and what’s it used for? How you choose to spend your money will differ depending on how much use the room will get. You should also consider what you already have that you want to keep or use as a starting point for your design. You may not need to fill in every piece in the room. Purchasing a high-quality rug that will last through wear and tear is especially important if your living room will get a lot of use. When it comes to high-quality, handmade furniture we believe it’s worth the investment. We pride ourselves on carrying American-made furniture that’s constructed with the highest standards of quality and durability in mind. And we’re here to help you with all of your design projects and budget questions. 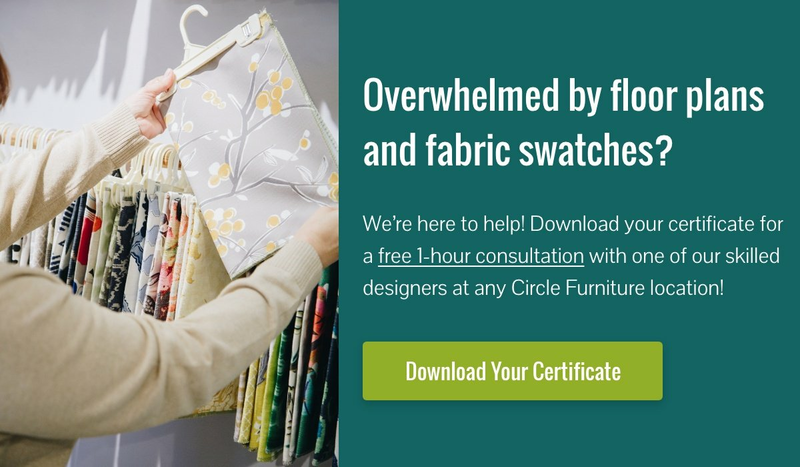 Whether you’re starting from scratch or looking for that one top-notch sofa, our designers can help get to the bottom of every question you have. They’ll guide you through every step of the design process, helping you determine where you should invest and where you can save. Get to know our designers and then come into a showroom near you. How Much Does to Cost to Furnish a Bedroom?